Resumes are the main way that employers decide whether to hire an employee or not. Before the interview, the resume is the only way that the employer can learn about a hospitality manager. The resume must be professional, and it should showcase the applicant’s accomplishments, education and work experience. When written correctly, a good resume can help a hospitality manager to gain a position in the field. Once hired, the Bureau of Labor Statistics reports a median wage of $49,720 per year. One of the first things that an employer will see in the resume is the objective. To make a successful objective, applicants should be specific about what they want. Instead of writing the standard line about seeking a position with upward mobility, prospective applicants should be specific. Descriptions like seeking an event planning job at ABC Company will help the employer learn what the applicant expects from their position and their qualifications. While large companies are easily recognizable, employees should never assume that the employer knows about their past employers. When writing out the resume, employees should make sure that they describe their employer. A hotel worker might write about the size of the property, the extent of their supervisory role or the customer service achievements of the business. If the hospitality manager was responsible for a multi-million dollar business, their future employer will want to know about it. While experience matters, an education and training in the field can help applicants get ahead. Any certifications should be listed on the resume, and technical skills like captaining a tour boat, running a POS terminal or handling cash accounts should be included on the resume. For even better results, applicants can get certifications from the American Hotel and Lodging Educational Institute to showcase their skills. Instead of just listing an employer and employment dates, the experience portion of the resume should include the actual duties, achievements and experience from each position. For example, applicants could include details like achieving a 99 percent satisfaction rate, managing a team of 1,000 employees or instituting a new marketing platform. These bullet points help to show an employer what the applicant can do and will help the applicant to stand out in a crowd of applications. The importance of proofreading is impossible to over-emphasize. Employers will be distracted by any typos or spelling errors in the resume. At the very least, typos make the applicant appear careless and unprofessional. In the worst case scenario, the employer will believe that the applicant lacks the communication skills to succeed in the job position. To ensure success, applicants should read their resume aloud and look for errors. Having a knowledgeable friend or co-worker edit the resume will also ensure that the finished document looks perfect. 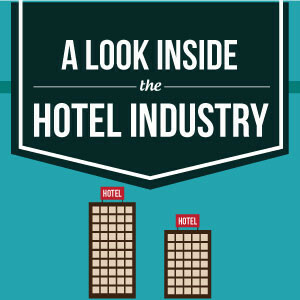 With the right skills and experience, hospitality managers can enjoy a rewarding career. To get hired, they must start by crafting the perfect resume and cover letter. Showcasing experience, demonstrating success and proofreading the resume will ensure that the applicant makes the best impression possible on a potential employer.